For almost a year, I’ve been planning to bake this old-world cake in celebration of Saint John Paul II’s birthday on May 18. I learned the traditional Polish Kremówka was renamed Kremówka Papieska (kreh-MOOF-kah pah-PYESS-kah), or Papal Cream Cake, when word spread that it was Pope John Paul II’s favorite cake. As usual, I started my recipe research with my go-to Polish cookbook, Polish Heritage Cookery. It contained a very old version of Kremówka, known as Carpathian Mountain Cake because of the dusting of powdered sugar on its top resembling the snow covering the Carpathian peaks. I sifted through internet cooking sites and found no end to lovely Kremówka recipes, old and new. Some cakes are round like a pie, some are square, and some rectangular. In France the lookalike patisserie item is Napoleon’s Cake, and “Krepita” is the Serbian version. Well, I simply refuse to make a cake that isn’t both pretty in the cake dish and on the plate. Determined, I marched to my at-home test kitchen and got to work. 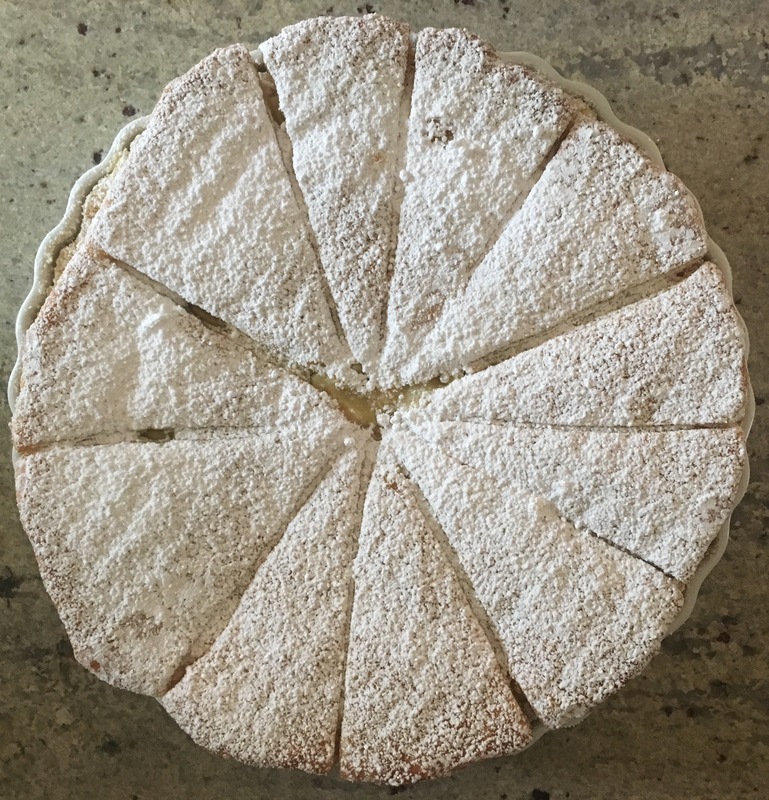 My goal was to find that perfect balance between maintaining the authentic Polish cream cake and inventing a way to make it easy and attractive. Here is my version of this once unknown confection, Kremówka Papieska. Pre-heat oven to 400 F (204 C) degrees. Roll out puff-pastry sheet on a pastry cloth. 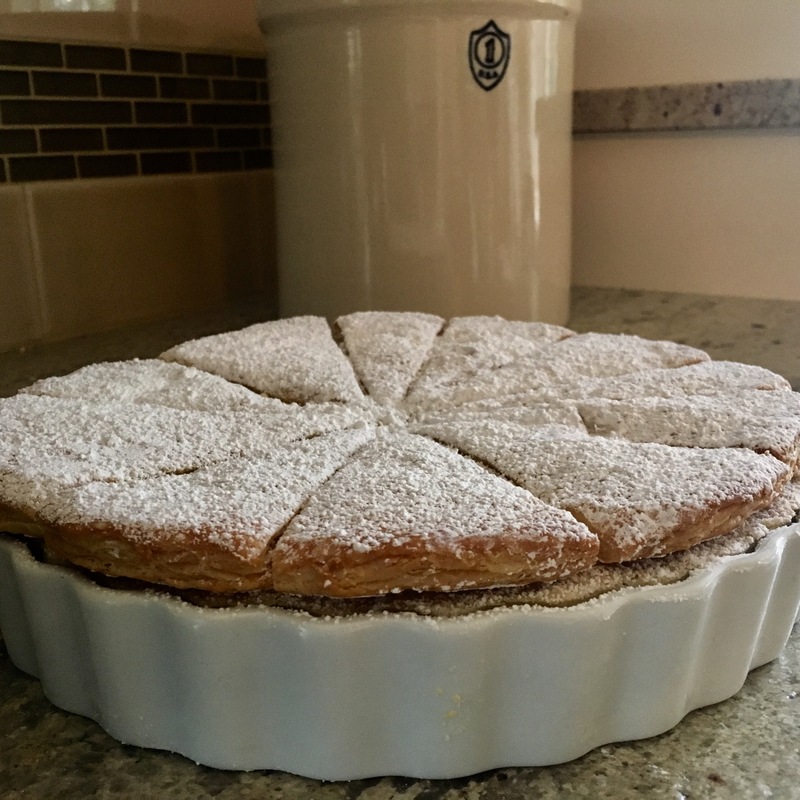 Use your 10-inch ceramic tart dish as a cutting guide for the cake top by placing it upside down on the uncooked puff pastry. Cut all the way around the tart dish with a sharp knife, cutting through the pastry to create the perfect-fit cake topper. Lift the tart dish off the puff pastry. Using a serrated steak knife, pre-scored the pastry, cutting nearly, but not all the way through the dough. 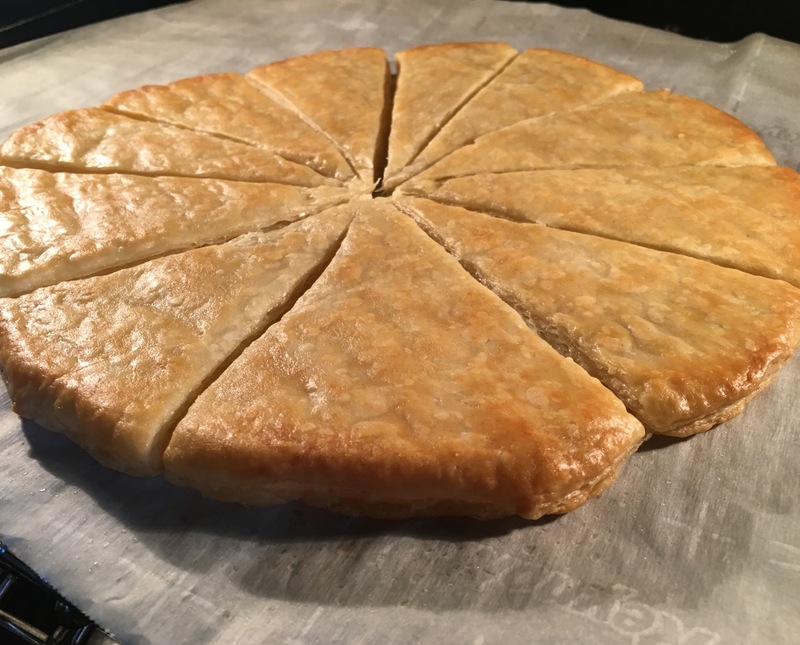 Cut into 8 to12 pie-shaped pieces, depending on desired serving size. Place the pre-scored puff pastry on a piece of parchment paper, and carefully set on top of a cooling rack. 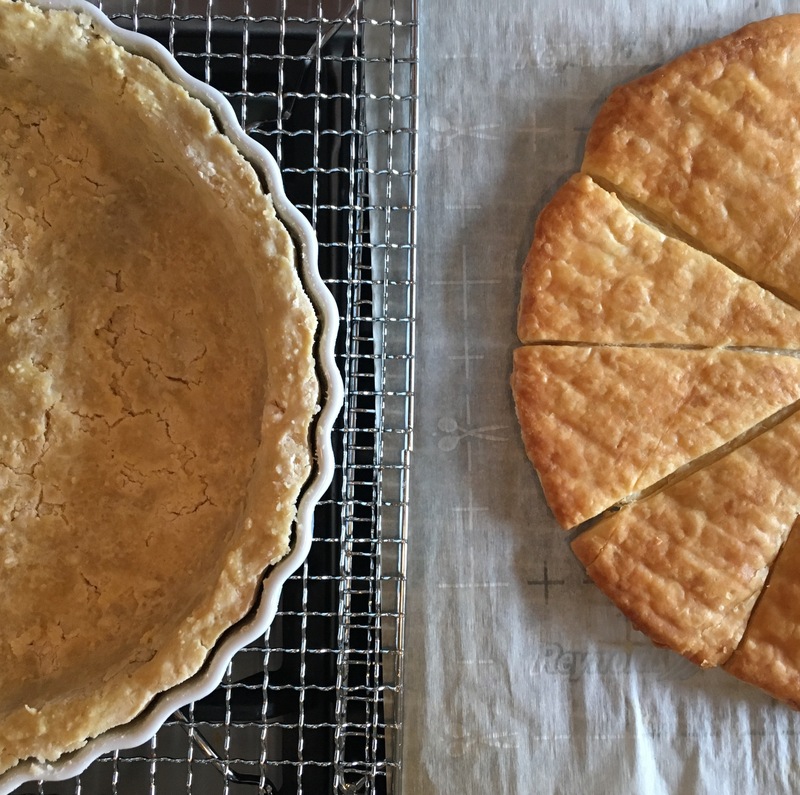 Cover pre-scored puff pastry with another piece of parchment paper, and place a second cooling rack (upside down) on top of the second piece of parchment, sandwiching the pre-scored puff pastry between the two cooling racks. This is necessary to keep the pastry flat during the first phase of cooking but still keep it flaky. Carefully place on middle oven rack. I keep saying carefully, because during my first attempt the pastry slid off the parchment. Thank goodness it landed on the oven door (not the floor) and I rescued it! Bake for 15 minutes. Remove the top cooling rack and the top sheet of parchment from the puff pastry. Continue baking until pastry is golden and cooked throughout (about 10 to 15 additional minutes). 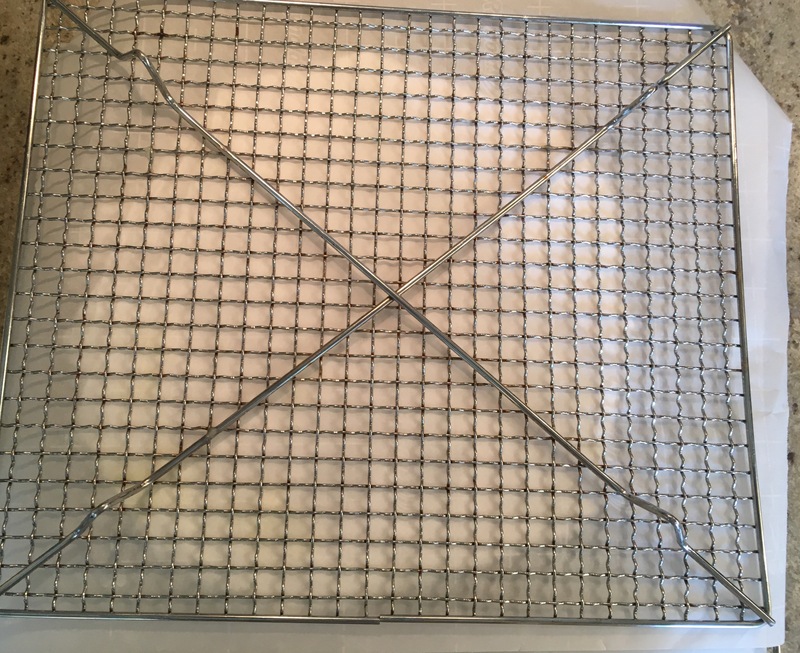 Remove and cool pastry on cooling rack while you make your short-cake bottom layer. Reduce oven temperature to 325F (160C). Coat your 10 inch ceramic tart dish with professional bakers spray (or butter) and dust with fine bread crumbs and set aside. Cut the butter into the flour and sugar mixture with a pastry blender. Beat the egg yolks into the water. 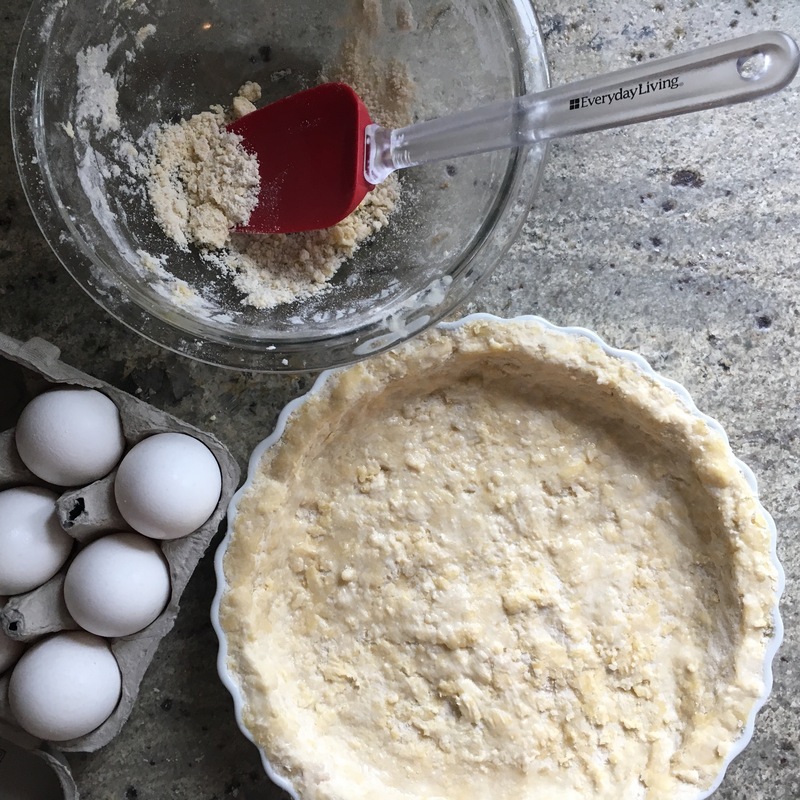 Mix eggs into the flour with a wooden spoon. Mix well. Spread and press the short-crust mixture to cover the bottom and sides of baking dish. Bake for 30 minutes on 325F (160C). Remove from oven and set on cooling rack while you make your cream filling. When the custard cream has slightly cooled, pour and spread it evenly over the short-crust layer in the tart dish. Carefully set your completely cooled, cut-to-fit puffed pasty over the custard layer. Press down lightly. Dust lightly with confectioners’ sugar. Refrigerate until completely cool and set for several hours or overnight before serving. Re-dust with confectioner’s sugar. Cut with serrated knife. Serve with or without fresh whipped cream. Refrigerate leftovers. Happy Birthday, Saint John Paul II!